The Nesco JS-5000T Jet Stream oven is three times faster than a conventional oven, two times faster than convection ovens and as fast as a microwave oven, but delivers superior food quality and taste. The oven has a six in one cooking system with patented cyclonic system that makes it possible to roast, grill, bake, steam, broil and air fry. 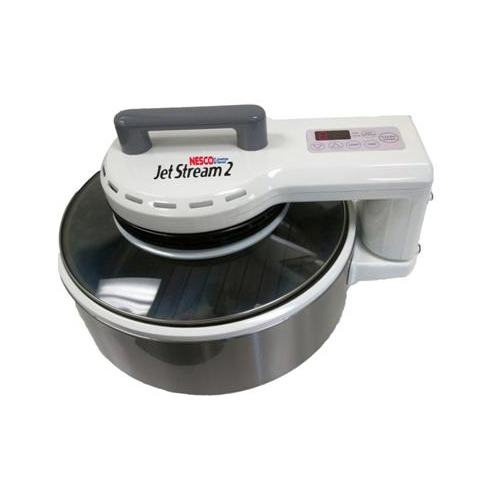 The JS-5000T features a timer that is programmable up to 99 minutes with auto off. 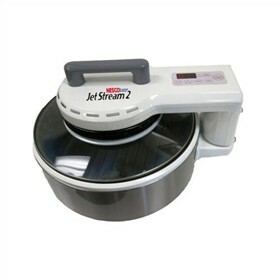 The jet stream oven offers a cooking temperature of 200° to 400° F. A user friendly digital keypad sets fan speed, cooking time and cooking temperature. The Nesco JS-5000T has many exciting features for users of all types. You can extend the lifetime of your Nesco JS-5000T with the purchase of a FactoryOutletStore Factory Protection Plan. The Nesco JS-5000T is sold as a Brand New Unopened Item.